RedVector is proud to announce this series of three mobile-ready concrete courses comprising six hours of SME video content. 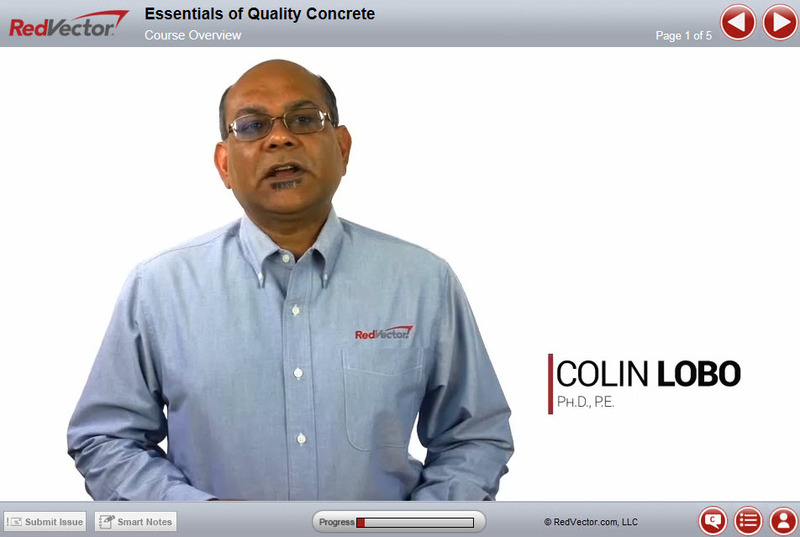 This training is presented by Dr. Colin L. Lobo, Senior Vice President of the Engineering Division of the National Ready Mixed Concrete Association (NRMCA). At NRMCA, Dr. Lobo coordinates and administers NRMCA technical training programs and develops NRMCA technical publications. Also a professional engineer, Dr. Lobo has a knack for breaking down the technical concepts of concrete into easy-to- understand concepts useful to architects, engineers, inspectors, and contractors.